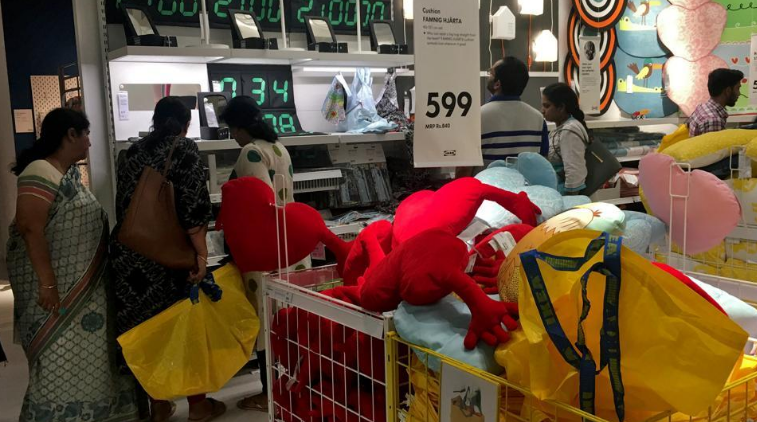 IKEA, the Swedish retail giant opened its first Indian store in Hyderabad on Thursday and going by the madness and enthusiasm among customers, it is already a blockbuster hit. As the retail giant finally opened its doors for Indian customers, thousands of enthusiastic customers thronged the 400,000 sq feet store, easily the largest single brand outlet the country has seen. 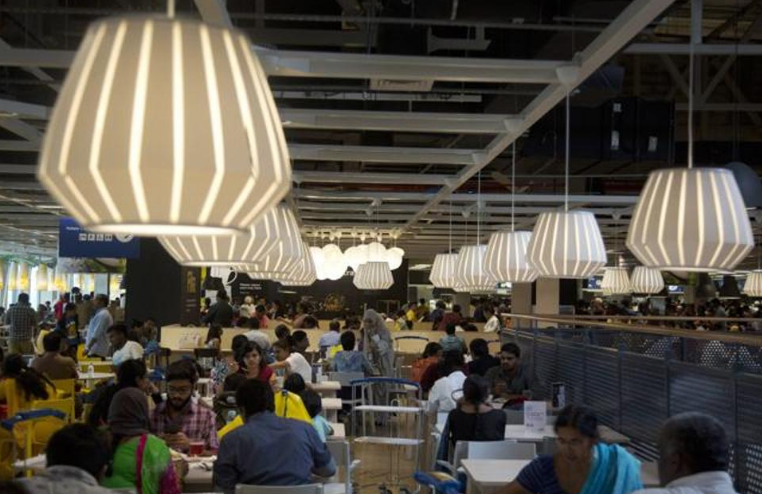 About 40,000 people visited IKEA’s first India store on its opening day in Hyderabad according to a company spokesperson. The store’s opening saw a stampede-like situation. About 10,000 customers had visited the store by 4 pm but the crowds swelled later as thousands of techies headed to the place while returning home from offices. “With a huge crowd from across the city thronging the store in the evening, the IKEA staff found it a bit challenging to regulate the entry. There were also a few tense moments when some people tried breaking queues,” Store Manager John Achillea said. The store in the southern city of Hyderabad is the first of 25 outlets the Swedish furniture giant hopes to open by 2025 across the country of 1.25 billion people. As the sprawling store has come up in the heart of Hyderabad Information Technology and Engineering Consultancy City (HITEC), majority of the customers were techies. There was traffic jam in front of the store located in the heart of HITEC City, the hub of information technology. The IKEA employees had to regulate the customers by allowing them in batches. Patrick Antoni, Deputy CEO, IKEA India, had said on Wednesday that they are expecting an average daily footfall of 30,000 to 35,000. IKEA welcomed the first customers at the 400,000-square feet facility with loud cheers from company officials and employees, holding Indian and Swedish flags amid loud band and music. The store was formally inaugurated by Telangana’s Industry Minister K T Rama Rao along with first customer Rajni Venugopal, IKEA Group CEO Jesper Brodin and Sweden’s Ambassador to India Klas Molin. PREVIOUS POST Previous post: Mumbai Police Saw them doing Kiki Dance on the Railway Platform, What Happened Next is Hillarious! !